Jessica Nagle Martin is a staff attorney with Friedman Kaplan and provides support and assistance to the firm’s full-time attorneys in connection with a wide variety of complex commercial disputes and white collar criminal matters. Representation of Caesars Entertainment Corporation in defense of federal and chancery court lawsuits brought by various creditor groups alleging that certain transactions violated the terms of bond indentures and the Trust Indenture Act. Representation of a major media and merchandising company at trial in defense of claims of breach of a licensing agreement. Representation of a former CFO of a biotech company against alleged claims of breach of fiduciary duty arising out of the sale of company shares through unlicensed finders. Representation of an advertising agency in connection with litigation with its former CEO. Representation of clients in connection with internal investigations and white collar criminal investigations. Representation of hedge funds in connection with commercial disputes. 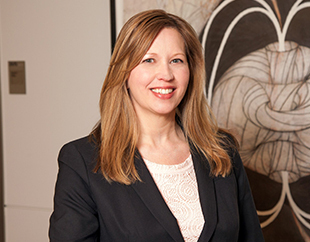 Prior to joining Friedman Kaplan, Ms. Martin practiced at Latham & Watkins LLP and Westerman Ball Ederer Miller & Sharfstein LLP.